NornenMeister has played Creatures since 1996. A friend of his gave him Creatures as a present for his birthday, and he will never forget this day. In 1998 when Creatures 2 came out, he was one of the first who owned it. And it is until today his favorite game. He played the game for a very long time so that he tried the Norns genetically to breed high (more neurons, more dendrites, more genes, more instincts, etc. ), because he had no Internet connection to get new breeds. He joined the Creatures Community not until 2004, as he finally got an Internet connection. His first work for Creatures was the conversion of the Creatures 3 Pumuckl Norns for Creatures 2 (released February 2004). His first own breed was the Foxi Norns for Creatures 2 (released March 2004). 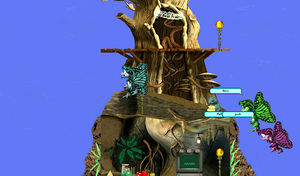 His first world for Creatures 2 was the Sweet World (released in fall 2004). On 6 June 2004 he called himself now jokingly NornenMeister, started as creator and webmaster of his Creatures website also called NornenMeister and he ran the website until 31 October 2008. In this time he converted seven breeds (five Norn, one Grendel and one Ettin breed) for C2, and created sixteen breeds with new sprites (eight Norn, four Grendel and four Ettin breed). 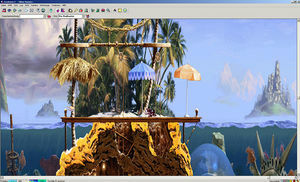 During this time he also constructed nine worlds for C2 and a lot little things for the game and around. From 21 January 2009 to 17 March 2009, NornenMeister's website made a comeback, because some people ask him to get some of his breeds and worlds. On 17 March 2009 he closed the website again and re-opened it on 23 September 2012. He became a new administrator at Mummy's Creatures Forum on 27 September 2012. On 4 October 2016 NornenMeister retired as administrator of Mummy's Creatures Forum. See his project site for details. NornenMeister created also some cheats, chemical mixes, pictures, sound files, egg sprites and other sprites for Creatures 2. 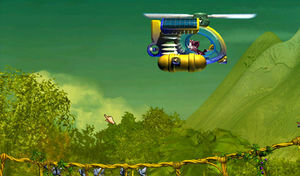 As well as Creatures screensavers, Creatures desktop themes, Creatures games, Creatures tinkering things and much more. On 2 February 2011, NornenMeister was awarded the Silver Hand Award, along with Don and Laura, for his work for the community. NornenMeister was a administrator on Mummy's Creatures Forum and has made almost 3000 Posts there. He is a proud owner of four Norndolls and one Grendeldoll, made by Alien. NornenMeister got the Creatures The Official Guide - Das Handbuch für Norn-Züchter in 1997. Did you know? NornenMeister has produced from 2004 to 2007 every Year a Christmas Present (2004 Hokuspokus Norns, 2005 Albia at Night, 2006 Christmas in Albia and 2007 The Pirate ship) for the Creatures Community. This page was last modified on 26 February 2018, at 14:19.